Los Angeles, Dec 8 (IANS) Oscar-winning actor Eddie Redmayne says his wife and children keep him grounded. 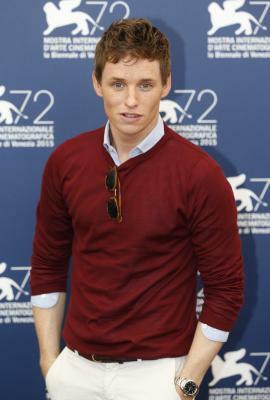 Asked how does he keeps it real, Redmayne told IANS: "My family. On one hand you get to come to hotels like this, fly to Los Angeles. And in two weeks time, I will be back in London. I have an eight-month-old child crying in the night and my wife will be like 'Go and change the nappy'. I will be like 'okay'." "My wife is the most extraordinary being and my children are (touch wood) healthy and happy. And that is very grounding." Redmayne is married to Hannah Bagshawe. They have a daughter and a son. The actor was last seen as magizoologist Newt Scamander in "Fantastic Beasts: The Crimes of Grindelwald". It is the second part of the planned five movies spin-off franchise from the "Harry Potter" films. The Warner Bros Pictures project opened in India on November 16.